Allergic diseases are the third most prevalent disease in Ukraine. The prognosis of physicians is such that by 2030 every third inhabitant of the country will disturb allergic reactions. The main causes of allergy are heredity and bad ecology, however, many people do not attach particular importance to the seriousness of the effects of allergy and do not consult doctors. In fact, the earlier the disease was diagnosed and the correct method of treatment was chosen, the less harm to the body, the more so for the infant. For the successful treatment of allergic reactions, it is necessary to undergo a detailed diagnosis to know which stimulus causes the body to react and how to treat an allergy in each individual case. What are the main methods of diagnosing allergies exist? To reveal an allergen (an irritant or an entire group), two basic analyzes are performed: skin tests and blood test for immunoglobulin E (lgE). A small amount of the drug containing the supposed allergen is introduced into the skin layer of the patient and the allergist (immunologist) makes conclusions about the allergic reaction to one or another stimulus by means of an inflammatory reaction on the human skin. An analysis of blood on lgE will show the presence of antibodies that cause an allergic reaction. But often an allergy in humans can cause substances that are not part of a group of stimuli used in skin tests, or a person reacts to a whole group of irritants. 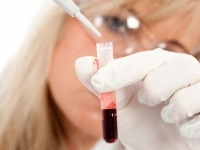 The molecular diagnostic method will help to understand which biochemical component causes an allergic reaction. The method of molecular diagnostics allows you to determine “the very molecule-allergen,” on which there is an allergic reaction in humans. The specialist, by means of this technique, determines an allergen component that can combine several substances causing a reaction in a patient with allergies. 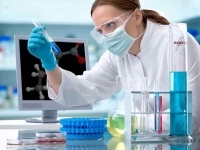 Therefore, the method of molecular diagnosis of allergy is the most accurate. With this diagnostic method, you can detail the type of allergic reaction in humans: monoallergic and / or cross-allergic. The first type is an allergic reaction to a single stimulus, the second type is the reaction of the human body to various allergens. Such a thoroughly detailed analysis will help to determine the most effective therapy, and most importantly – to know exactly the “culprits” of allergy and in the future to avoid contact with allergens. This method of diagnostics is particularly relevant for the detection of food allergens, since it allows you to accurately identify potentially harmful foods that cause allergy to humans. Based on this method, the physician can draw a conclusion on which particular group (or specific product) presents a small risk to an allergy person, which products are classified as high-risk products and which are very dangerous. Ignoring the action of allergens and constant allergic reactions without the necessary treatment and elimination of contact with an allergen in the end lead to the main complication of allergy – the development of bronchial asthma. Therefore, it is important to timely diagnose the allergy and find out which substances cause a negative reaction in the body.